HeartGroups Testimonies; Albuquerque, NM; Burlington, WA; Edmonds, WA; Peugeot Sound Academy; New North American Sharing Book for 2014; & This Weekend’s Upcoming Event! God’s spirit was poured out each night as we, centered on Jesus, gave intentional openness to encountering God’s radical, self-sacrificial, other-centered love in its mirror-image form, found in Jesus Christ. I was so deeply humbled, once again, to see lives changed and hearts transformed, as we together, over this 10-day event, came to know more fully what Jesus’ Kingdom is genuinely all about. Truly, Christ’s kingdom was enlarged. This is the new Life Unlimited series. Our prayer hear at RHM will be that you too, as you listen, will encounter God’s love for you more deeply. as we all, together, come to a deeper understanding of the length, depth, breadth, height, and width of who and what our God truly is, as seen in Jesus. It is life-giving! Life without limit. Life unlimited. Also, the highlight of my visit to New Mexico was being able to establish a HeartGroup right outside of Albuquerque. Such beautiful things are happening among this small group. If you happen to be reading this, to the church that meets in the house of “Aquilla and Priscilla,” grace and peace to you from Him who did not consider heaven itself a place to be desired while we were held captive by God’s enemy. You are loved, by Him who defines loves. Keep living in love, and may His love in you for one another continue to grow more and more until that perfect day. Keep enlarging Jesus’ kingdom, one relationship at a time. You are in my prayers, always. Although there are so many beautiful pastors out there with whom I get the opportunities to work, it is rare for me to have the opportunity to work with a pastor who so deeply “gets,” on a theological level, what we at RHM are really all about. I had the privilege of basking in this opportunity in Burlington, Washington, earlier this month. It was a tremendous weekend and one that I cherish as my 2012 comes to an end. The congregation too was so warm. Truly God’s love is present within this church. For an institutional-style church (wink, wink), God’s kingdom is alive and growing in this local church. They have beautiful groups lovingly referred to as Family Trees, which are simply small groups where the “one anothers” of the New Testament are understood and practiced. These groups are deeply involved with their community, with a level of engagement and integration that is rare for me to see these days. Recently, one of the officials of one of the town’s largest charity organizations flat out told them that if this church were not present in their town, that charity would honestly have to close its doors. There is no way they could do what they do without that church’s involvement and participation. Way to put on display the radical beauty of who God is guys! Who God is, as revealed in Jesus, is consistently presented from the leadership of this church and the fruit among your members is amazingly stunning. Keep enlarging the kingdom! The pastor of this church, too, has had to make some pretty difficult calls on the direction of this church over the past few years — decisions that were the result of a deep desire to follow Jesus. And just as anyone knows who is following Jesus, the reason Jesus’s followers hope in the resurrection is because following Jesus always results in putting themselves on a cross. This church has been through the “cross” phase (although I believe it deepens for all of us every step of the way), and now we are experiencing a little taste of the power of the resurrection in our congregation, and it is beautiful. As an outsider visiting your church, I see “Kingdom” there in your congregation in large measure, and I’m so encouraged by it. It is my hope that you will be encouraged too! The talks I gave in this church, halfway through the week, I decided to make available also online, grouping them together under the title of The Sufficiency of Christ. The week’s presentations just came together. We are not to look to our religion for our picture of God, what we are to believe, or how we are to live. Nor are we to look to our political opinions for what which defines us — that which gives us assurance and security. Jesus is our example, teacher, friend, redeemer, and Lord. He is the source of our life, the central reference point for our faith and lifestyle, for our understanding of church, and our engagement with society. We are committed to following Jesus, as well as worshipping Him. Christ is our definitive clue with regard to what God is like. Christ is our new standard of what morality even looks like. Christ is what is to define us, inside and out. This church, just like other churches, already has present among it many small groups throughout the church. I was so excited to find this. And although I did encourage these groups to begin moving away from what some call a “Honey, I Shrunk the Church” style, where those present are still simply passive spectators, to a more open, mutually participatory style mirrored in the New Testament ekklesia, I was simply thankful to see such openness to God’s radical love and His otherworldly Kingdom here in Edmonds. I love what I see happening here in Edmonds. Certainly Jesus Christ is alive enough to still lead those who used to belong to God’s enemy. Long live the beautiful revolution! Christ’s kingdom come. May God’s eternal desire (Genesis 1.26; John 17) for us be restored among us once again, just as it is “in heaven” (Matthew 5.10). While at Edmonds, I also had the privilege of speaking everyday with the Academy students at Peugeot Sound Academy in Kirkland, WA. This was a tremendous week that involved one presentation each day along with several class time sessions for each grade as well. The week climaxed with dedicated time spent focusing on God’s heart as revealed in the death of Jesus to ransom each of us from the Enemy. Many decisions were made, either to reaffirm, or for some, to embrace for the very first time a decision to become a follower of Jesus, not just as “believer”, but actually as a “follower” as well. One student (a Senior this year) just Facebooked me to let me know he had made a decision for rebaptism as well. Welcome to the Kingdom my friend, welcome to the Kingdom. This next weekend is my last weekend for 2012. Once Thanksgiving comes, I will be spending the rest of this year at home, catching up with my family during the holidays. I will be at the North Fork Adventist Church in North Fork, CA (559.479.9403). If you are in the area, I’d love to see you. And if not, please partner with me in prayer that those who attended will simply experience Jesus. Lastly, this week, I finished the final edits for the North American Division Sharing Book for 2014, entitled Missing Dad, being published by the Review and Herald. It will be on bookshelves in the fall of 2013. The first half of this volume is a condensed version of the chapters so many have found helpful concerning the topic of our misconceptions of God and the role He plays in human suffering, found in my book Finding the Father. 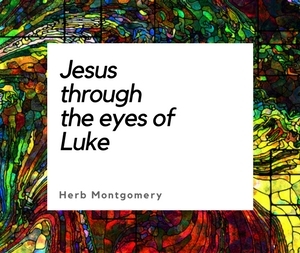 The second half of this volume is dedicated to the Cross and Victory of Christ and what the Cross, as seen through the perspective of Jesus, is telling us about who and what God really is and what He deeply feels for each one of us. I am so excited to be offering this content in this format in an effort to allow Jesus once again to challenge not simply our culture’s misperceptions of what God is like but even some of our religion’s (Christianity’s) most cherished, but incorrect nonetheless, pictures of God. Jesus said it best: “If you’ve seen me, you’ve seen the Father” (John 14.9). We’ll keep you posted with more updates as the publishing date gets closer. Keep enlarging the Kingdom, one relationship at a time!